(a) The perimeter of the figure is in. Round your answer to two decimal places. 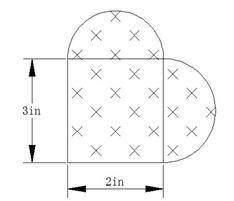 (b) The area of the figure is in2. Round your answer to one decimal place.